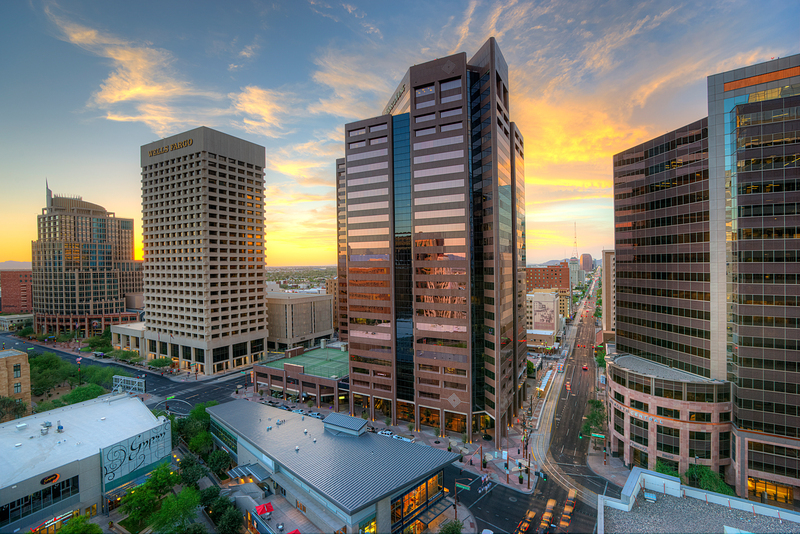 Downtown Living: CityScape Residences - Downtown Phoenix Inc.
As the housing market rebounds, more people are considering downtown living, as seen in the volume of leasing flow at places like CityScape Residences. It’s all about ease and access, according to Shumake. People love the amenities, the floor-to-ceiling views of the city and the concierge service at CityScape. But most of all, residents love being just an elevator ride away from everything in the Downtown Core. Open just five months, the complex has already reached 50 percent occupancy and Shumake hopes to reach full occupancy by Christmas, a fairly lofty goal for a concept that’s completely new to Downtown Phoenix. Creating a modern high-end living option is exactly what RED Development, the brains behind CityScape Residences, sought out to do. Located atop the Hotel Palomar, residents of CityScape have full access to the same amenities as the four-star hotel including 24-hour room service, valet parking and housekeeping. As an added incentive, the Black Card program available to all residents offers 15-25 percent discounts to all businesses at CityScape, and that’s recently expanded to 23 restaurants and retailers downtown. To an outsider, downtown living might seem more appealing to a specific demographic. But according to Shumake, it’s surprisingly eclectic. “It’s a unique mix because everyone wants this quality of life,” he said.